John Cage at the Grammy's! SANTA MONICA, Calif. (March 29, 2016) —The Recording Academy® will honor its 2016 Special Merit Awards recipients with an awards ceremony and live tribute concert on Saturday, April 23, 2016 at The Dolby Theater in Los Angeles. Dubbed "GRAMMY Salute to Music Legends," the event will be produced in partnership with THIRTEEN as part of the "Great Performances" series on PBS, set to air later this year. Led by music industry icon Don Was as musical director, the tribute concert will feature rare performances by honorees and never-seen renditions by those they've inspired. Tickets for the event will be on sale via Ticketmaster beginning Tuesday, March 29, 2016 at 10:00 am PST. 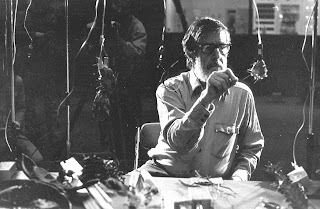 On August 20, 1989, John Cage finished up at the Telluride “Composer-to-Composer Festival” and headed for the Skywalker Ranch in Nicasio, California, where he would participate in “Sound Design: An Invitational Conference on the Uses of Sound for Radio Drama, Film, Video, Theater and Music” (Aug. 29-31), hosted by Bay Area Radio Drama. He planned to present a portion of his James Joyce, Marcel Duchamp, Erik Satie: An Alphabet (1982), a whimsical radio play he’d earlier created for Klaus Schöning and Cologne’s WDR. Cage left Telluride feeling slightly unsettled by an altercation he’d had with a fellow composer – Anthony Davis. 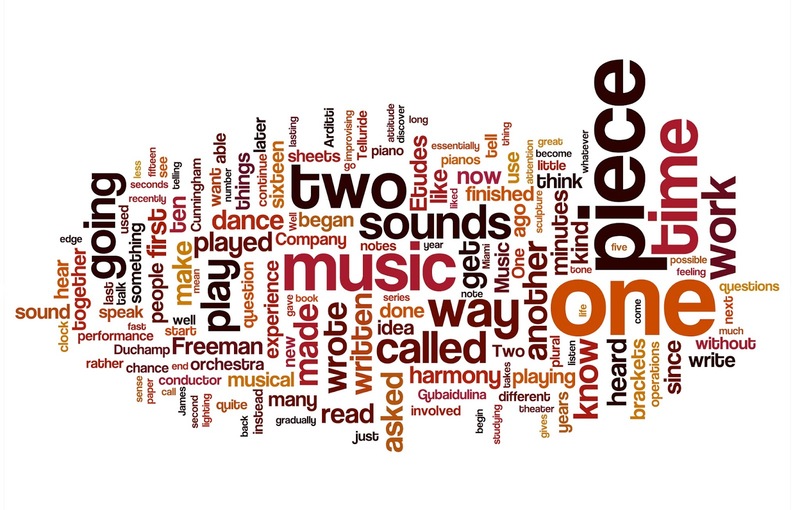 Each of the composers was given time to speak about their current work, addressing the group with particular problems they were encountering and eliciting advice. At his designated afternoon session, Davis wanted to talk about incorporating improvisation within the context of an otherwise fully notated score. Uncharacteristically, Cage dismissed this as an unimportant concern. Most folks think that Cage was summarily against improvisation. From his vantage point, and as generally practiced, there were all manner of things to overcome: control, emotion, style, personality, hierarchy, intuition, celebrity, habit, intention. On the surface, then, Cage's dismissal of Davis's preoccupation seems entirely sensible. If history is witness, however, it might be truer to say that Cage was interested in improvisation, but in a kind of improvisation whereby one's actions, indeed one's end result, couldn’t be entirely controlled or foreseen. 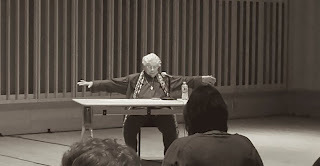 This was certainly the case with his co-called “music of contingency,” exemplified by such compositions as his Child of Tree (Improvisation I) (1975) and Branches (1976). Both of these works make use of unruly plant matter as musical instruments, and Cage aptly described them as a kind of "improvisation in which there is a discontinuity between cause and effect." 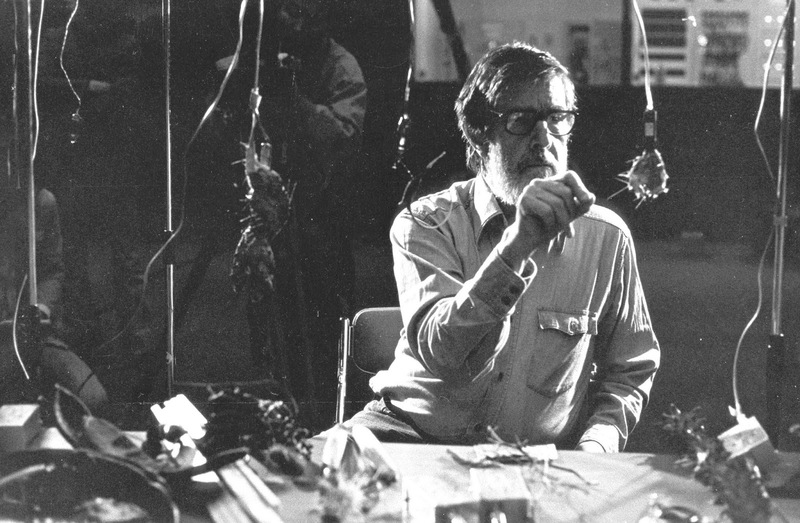 And two of the so-called "number" pieces from 1992, the last year of his life – Four6 and One12 – were described by Cage as "structural improvisations." 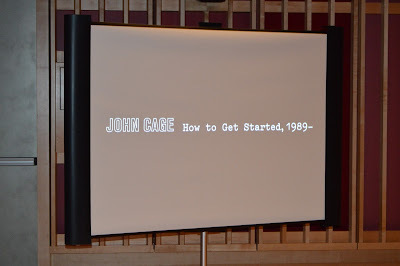 For the Bay Area Radio Drama conference, Cage abandoned his idea to present Alphabet, and instead devised a new work. Eliciting the collaboration of two on-site recording engineers, Dennis Leonard and Bob Schumacher, he made a proposition. Having written ten topics of concern on ten index cards, Cage wanted to extemporize in turn on each one, their order determined by chance, while the engineers recorded and played back his performances. And so it went. For his performance, Cage extemporized on topic one, which was duly recorded. While he extemporized on topic two, topic one was played back in the room, and both were recorded. While he extemporized on topic three, topics one and two combined were played back in the room, and all three were recorded. And so forth. Cage's extemporizations along the way were inevitably altered by what he was hearing. In one, he clearly loses his train of thought, laughs, then forges ahead. At the end, all ten were simultaneously played back, layered upon one another in a happy, McLuhanesque jumble. When Cage returned to New York, he went back to work on his Harvard lectures, making no mention of his time in Nicasio. Weeks later, a cassette arrived from Eva Soltes at Bay Area Radio Drama, marked simply “J. 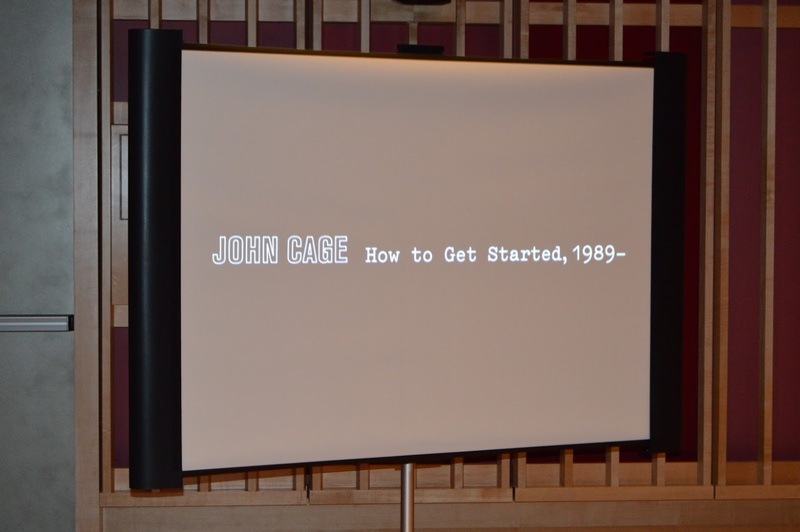 Cage, How to Get Started.” Cage acknowledged this likely contained his Nicasio presentation, and without further conversation the cassette was shelved. Long after Cage’s death, I rediscovered the recording in the archives of the John Cage Trust and set to work transcribing it. 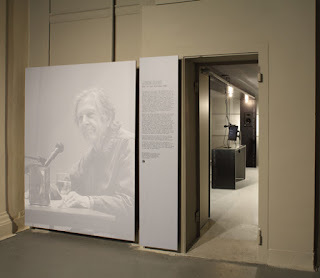 Having both the tape and transcription in hand, I approached Aaron Levy at Slought Foundation in Philadelphia to explore the possibility of a collaboration between our two organizations that might somehow extend its life. 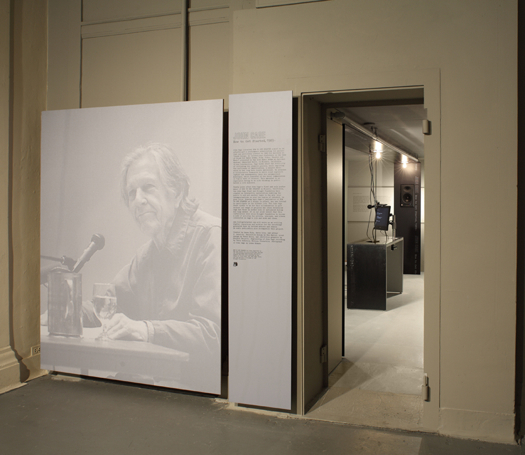 What resulted is a permanent interactive installation at Slought that enables the public to create their own realizations, adding yet another layer of recordings to the historical mix. A dedicated website was quickly created, which serves as an evolving digital repository and archive for the recordings being ongoingly generated. To date, we’ve performed the work live, with the public, several times, most recently April 8-9, 2016, here at Bard College, in the Conservatory of Music’s Bito Auditorium. 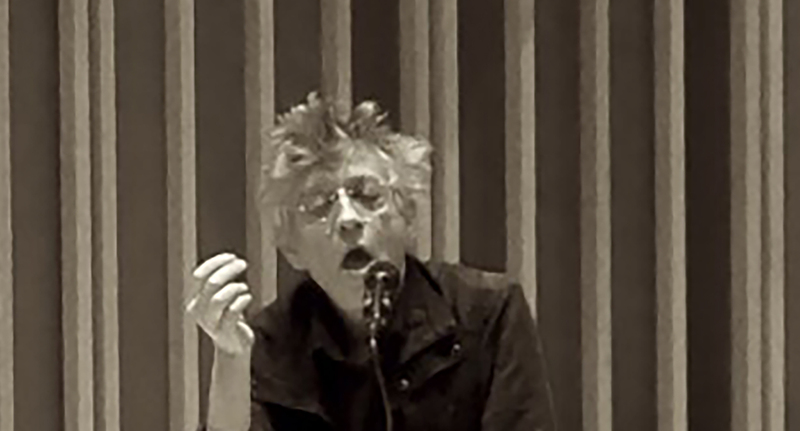 Participants were Roger Berkowitz, Olive Carrollhach, David Degge, Brian Dewan, John Kelly, Chris Mann, Pauline Oliveros, Jamie Parry, and Bobby Previte. Our usual technical team -- Aaron Levy and myself, curators/producers, Peter Price, collaborating sound engineer, and Ken Saylor, staging and design -- was augmented by Emily Martin, photographer, and Seth Chrisman, a composer and resident sound engineer at Bard. 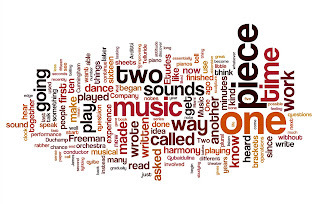 How to Get Started is an amazing work, both to hear and to perform. Realizations are as distinct as snowflakes, and always disarmingly honest and complex. Each reveals the performer's willingness to share, and to experiment with thinking out loud. To arrange a visit to Slought, or to schedule your own realization, click here.